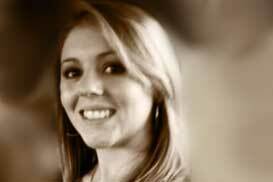 Brookelyn Farthing, 18 years old, disappeared on June 22, 2013, last seen in Berea, KY. Please help us find Brooke. The Kentucky State Police along with Brooke’s family is still seeking information regarding her disappearance. With the passing of every holiday and family celebration her disappearance never gets easier. Her grandfather passed away shortly after her disappearance not knowing what happened to Brooke. Over the last several years multiple leads have been investigated. The circumstances surrounding her disappearance are suspicious and criminal involvement is suspected. Please contact the Kentucky State Police in Richmond at 859-623-2404 or 1-800-222-5555. $14,000 Reward offered for information leading to the return of Brookelyn Farthing or capture and conviction of those responsible for her disappearance. 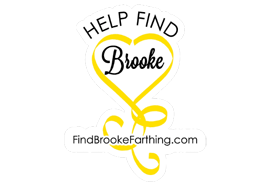 Show your love for Brooke. 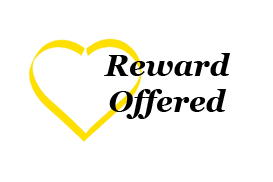 All proceeds go toward the reward fund at Peoples Bank. Please share any any information about Brookelyn’s case.